The BBC has let on that series six of Doctor Who will open with a two-parter set in the USA and written by Steven Moffat. 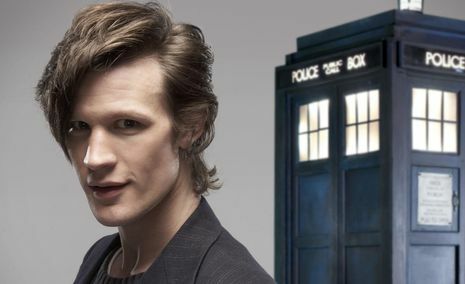 In the two-parter co-produced with BBC America, key scenes will be filmed in Utah for a story set in the late Sixties in which the Doctor, Amy and Rory find themselves on a secret summons that takes them on an adventure from the desert in Utah right to the Oval Office itself. Production on episodes one and two of the new series starts in Cardiff this month and Matt Smith, Karen Gillan and Arthur Darvill will then travel to America in mid-November to shoot pivotal scenes. They will also be joined by Alex Kingston who reprises her role as River Song. The new series follows on from the Doctor Who Christmas Special guest starring Katherine Jenkins and Michael Gambon which is due to broadcast at Christmas. Series six will start airing on BBC One in spring 2011 and has been split into two blocks, with the second block airing in autumn 2011.